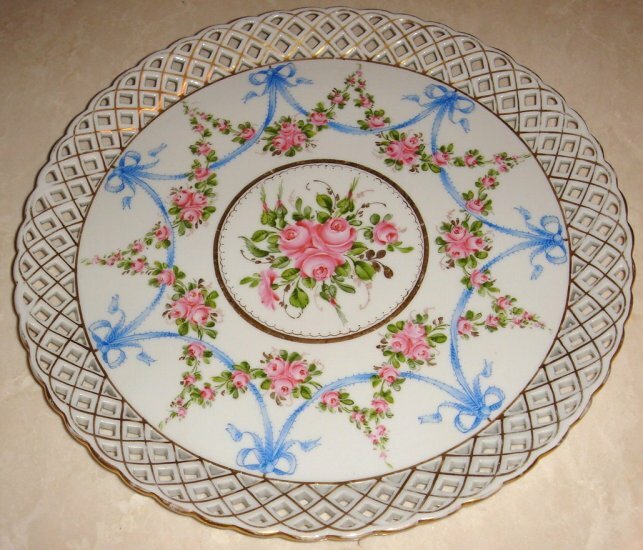 Wonderful hand painted 10" cake plate with pierced rim. Floral swags alternate with blue ribbon swags. White ground and gold trim. No chips, cracks, or repairs. Would make a fabulous display piece. Made by Schierholz Germany.